By now, you know that I’m obsessed with SoulCycle. I try to get in at least three spin classes a week. Since I’ve started spinning more and have stuck to a pretty consistent schedule since January, I’ve been adding a few new pieces of workout clothing to my wardrobe. 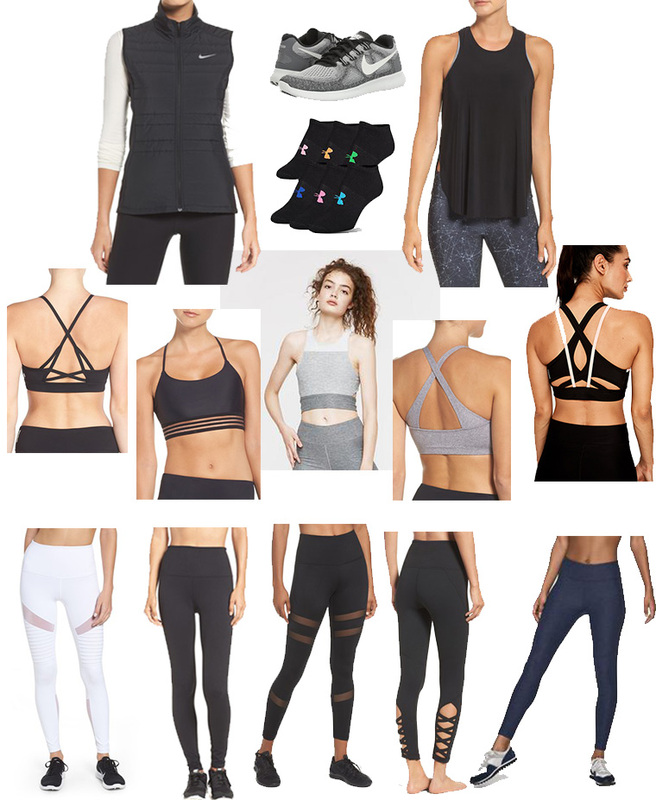 I’ve discovered a few new-to-me brands that I love, so today I thought I’d share my favorite pieces for spin class! If you’re new to spin, the first thing you should know is that most people wear leggings. Since you’re on a bike for 45+ minutes, pants just work better (as opposed to a running short). 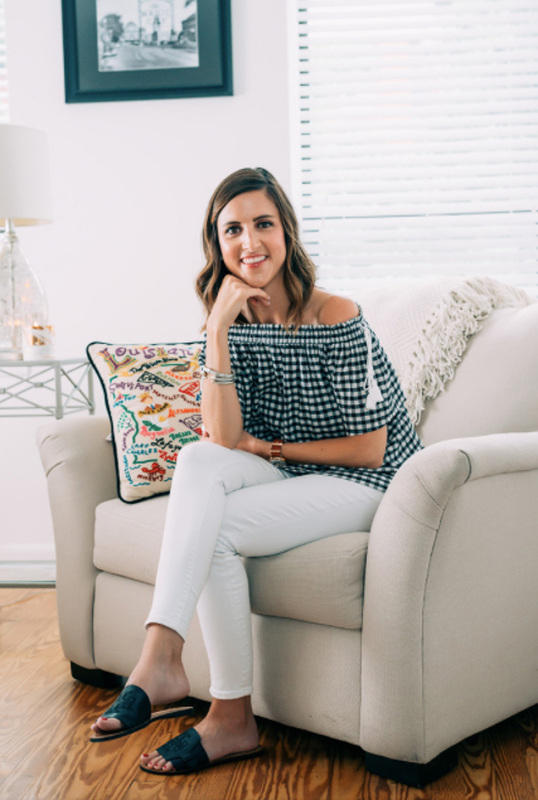 I generally rotate between two of my favorite leggings: lululemon Wunder Under Hi-Rise 7/8 Tight and Outdoor Voices 7/8 Warmup Leggings – I’m eyeing the 3/4 Warmup Leggings for the warmer weather! My favorite spin class attire has to be a fun crop top or sports bra. If you’ve taken a SoulCycle class before, you know how hot it gets in that room! I usually start off with a tank on top of my crop top/sports bra, but I ultimately take it off after a song or two. 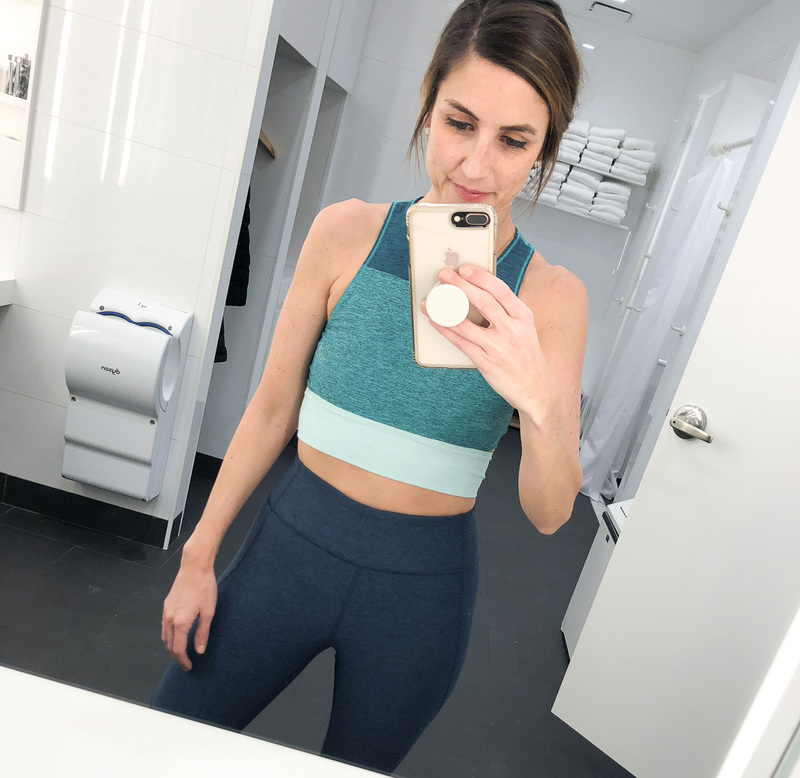 My favorite crop tops/sports bras at the moment are the Outdoor Voices Tri-Tone Slashback Crop, this fun Lolë sports bra (currently 50% off! ), and this Amazon find that I can’t stop talking about – it is so cute, the quality is amazing, and it’s only $17! Like I mentioned, I usually like to have on a top over my sports bra to start class. I really love this Alo Yoga Flow Tank. It’s lightweight, I like the cut, and the graphic prints are always fun and inspiring. The other three pieces that I always have with me at spin are my Herschel Backpack (it’s the perfect size to throw all of my gym gear into or my work clothes if I’m coming straight from the office), my marble S’well bottle, and my Nike running shoes (for walking home after class – I wear SoulCycle spin shoes during class). The Nike shoes are currently on sale!